Some items have become so much a part of everyday life that we take them for granted until a design comes along which makes us think about them in a different light. The new Pop USB Flash Drive is such an item. Our designers have taken an already useful object, the Flash Drive, and combined it with an everyday essential, a bottle opener, to produce a novel and captivating hybrid design. 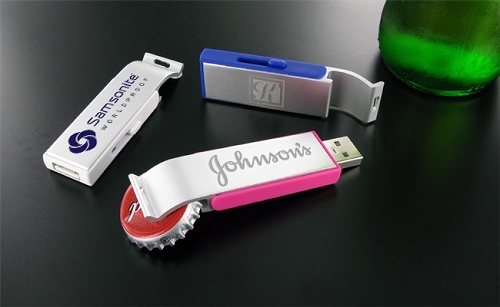 Lightweight, strong and ready for customisation with your logo or branding message, the Pop USB bottle opener flash drive gives the utility of two very distinct items in a compact and attractive form factor. 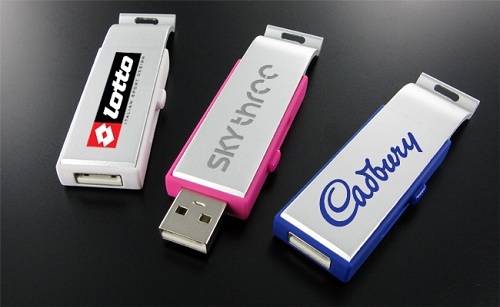 If you are looking for a unique design that will help you to stand out from the crowd then the Pop USB is the perfect model for you - all the benefits of a standard USB Flash Drive plus that little bit of extra functionality that will come in very handy when you need it most. Brilliant! This is exactly what I've been looking for. Fantastic Concept, can't wait to get a sample, keep these fantastic models coming.